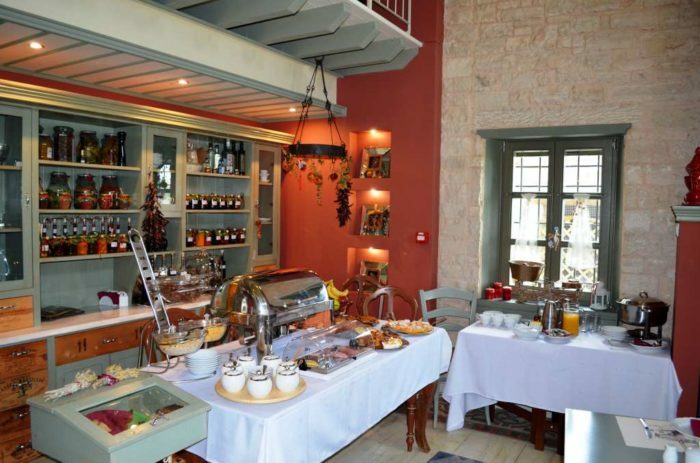 The Best Greek Hotel Breakfast in the Greek Hospitality Awards 2018 has been won by a hotel in Ano Pedina, Zagorochoria. The winning accommodation is the Pirrion Boutique Hotel Sweet Hospitality which competed with other 148 hotels and, after a careful evaluation, received the first prize from the jury. The nominees were presented during the event which took place on Feb. 23 at Divani Apollon Palace & Thalasso in Athens. The tender process included the participation of 149 hotels as well as other different touristic companies. The Best Greek Hotel Breakfast Award is a highly appreciated distinction under the auspices of the Ministry of Tourism, the Pan-Hellenic Federation of Tourism Enterprises, the Pan-Hellenic Federation of Hoteliers, the Hellenic Tourism Organization and the Hellenic Ministry of Development.